With 27 miles of white sandy beaches to explore, snorkeling, fishing, boating, and diving are sure to get your feet wet. Adventurers can hunt for treasure aboard a pirate cruise, encounter dolphins on one of the beach's sightseeing boats, or explore beautiful Shell Island. Thrill seekers hold on tight to ride the world's largest speedboat, jet ski along the coast, or take a plunge at the 6-acre Shipwreck Island Water Park.Beyond the beach, Bay County enriches the lives of visitors and residents with a strong cultural presence through the Bay Arts Alliance and other organizations. Ballet, art and photography exhibits, as well as theatrical productions are brought to the community through the Visual Arts Center of Northwest Florida, Martin Theater, Kaleidoscope Theater and Junior Museum. Bay County also enjoys many events such as concerts, air shows, triathlons, festivals and more throughout the year.Those looking to relax can enjoy a round of golf or take a sunset stroll along the many marinas. Majestic Beach Resort in Panama City Beach, Florida has captured the spirit of life on the beach in a new Florida resort condominium with over 650 feet of beachfront on the Gulf of Mexico. 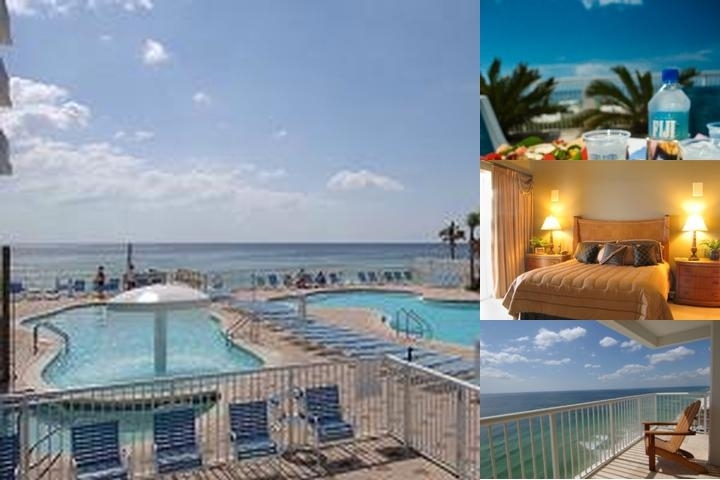 Singles, couples and families of all ages will find Panama City Beach the perfect destination. You will discover the ultimate in gulf-front rental with one of our accommodations - studio, one, two, three or four bedrooms. The beach is a special place where time stands still...a place where your family, generation after generation, has made lifelong memories...a place where you and your friends grew up...a place where you found solitude and revitalization. Your life has revolved around the beach...picnics, cool ocean breezes, suntans, surf's up, long walks, bonfires, surf fishing, crabbing,volleyball, spring breaks, countless hours of summertime fun, sunrises, sunsets and shimmering stars. Majestic Beach Resort is a place where time stands still, as emerald waters melt into dazzling white sand beaches. Spend time with family and friends with poolside gatherings, picnics on the beach and breathtaking sunsets over the glistening waters of the Gulf of Mexico. Book your Panama City Beach vacation and enjoy beach life! The Majestic Beach Resort is located roughly 10 miles west of the Panama City/Bay County International Airport. Below are the meeting, banquet, conference and event spaces at Majestic Beach Resort by Resort Collection. Feel free to use the Majestic Beach Resort by Resort Collection meeting space capacities chart below to help in your event planning. Hotel Planner specializes in Panama City Beach event planning for sleeping rooms and meeting space for corporate events, weddings, parties, conventions, negotiated rates and trade shows. 105 x 52 x 20 Ft.
75 x 52 x 20 Ft.
30 x 52 x 20 Ft.
44 x 15 x 9 Ft.
22 x 25 x 9 Ft.